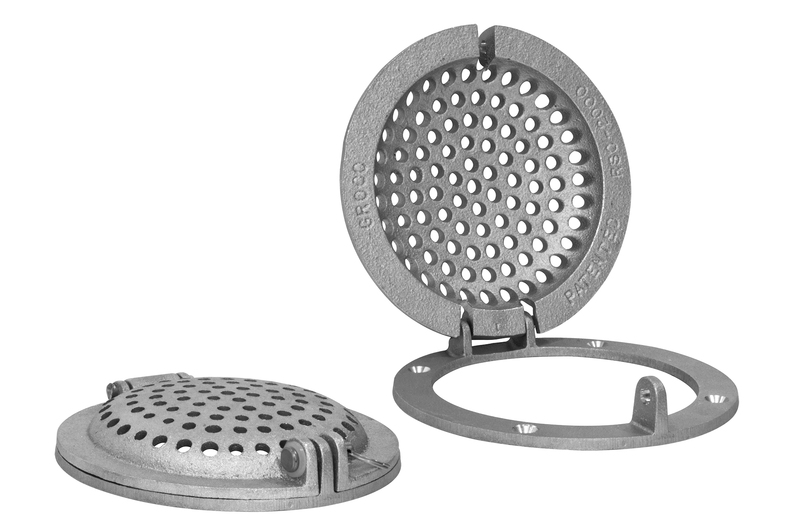 RSC Series strainer is ideal for sailboats and generators. It serves its purpose of filtering debris from the thru hull while not building pressure in cooling lines which can easily damage non running engines. Access to the thru-hull fitting and seacock beneath GROCO hull strainers is made easy with the patented access door design. Now there is no need to remove the entire strainer to clear nuisance marine growth. Aluminum models may be welded or screwed to aluminum hulls. 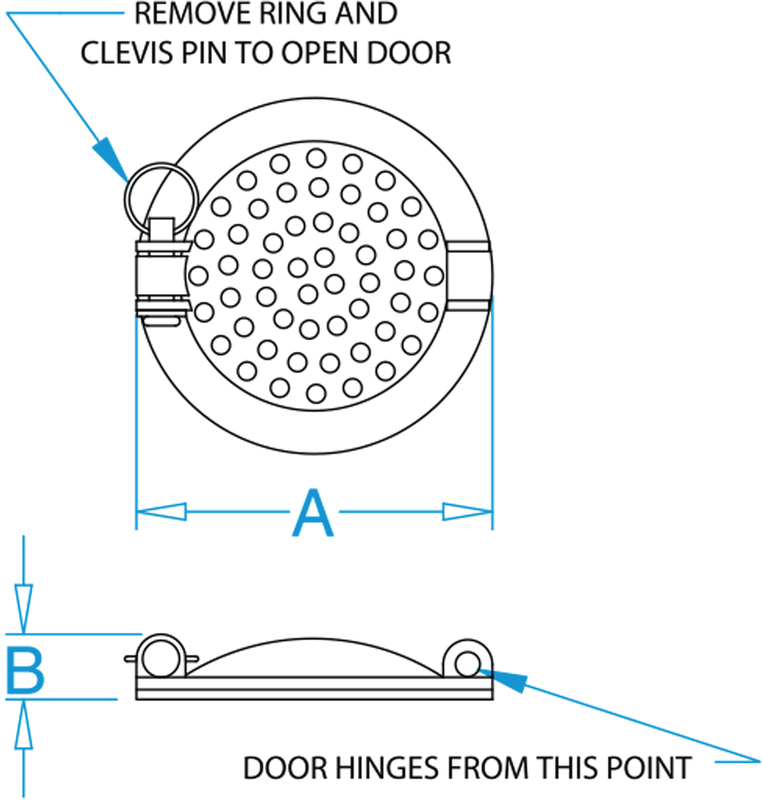 Patented access door design allows easy access to Thru Hulls. #319 aluminum body and door. Designed for systems where forced flow is not needed or wanted.